Gluten free is looking good. Real good. If you’re looking for an easy peasy dessert you’ve found it. Chocolate mousse is quick and easy and honestly you can eat it by itself if you don’t want to take the extra step and make the crust. I’m not going to lie and say I haven’t. I kinda look forward to keeping the bowl, beaters and spatula to myself. What can I say, you know I have a wicked sweet tooth. I could tell you it’s quality control. Yeah, on second thought let’s go with that. We used gluten free ginger snap cookies to make our crust (hence why the recipe is indeed gluten free). We went old school, threw them into a zip top bag and bashed the bazooky out of them with a mallet. It’s a stress reliever and a great arm workout not to mention you just throw the bag away when you’re done. If you’re feeling particularly stress free feel free to use your food processor. These little gluten free goodies happen to get better the longer they sit in the fridge so making them the night before is optional but not required. We’ve used mini tart pans making a perfect individual serving size but you can absolutely use a a single large tart pan. Options you know we love them. A graham cracker crust would be great too, you know if you can’t find ginger snaps. More options. Who loves ya? So pretty & just the perfect size! I adore using gingersnaps in recipes! These are so pretty, Paula! 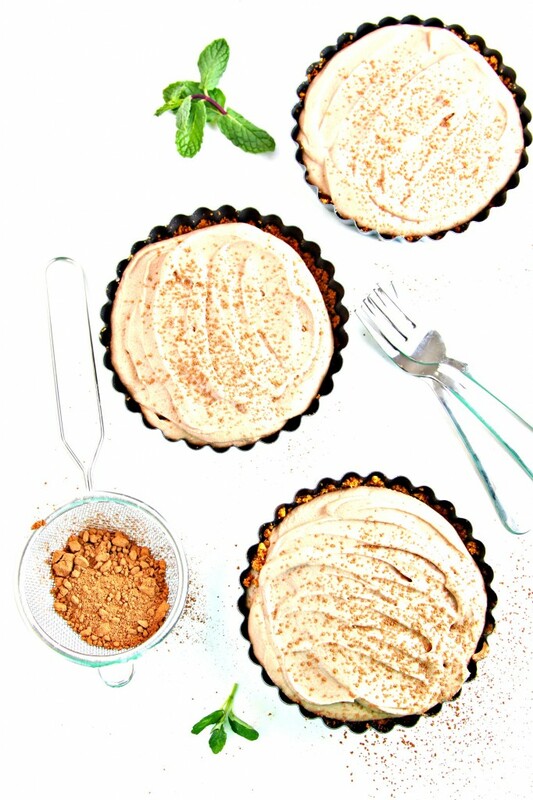 Gingersnap crusts are my favorite and they would be fantastic with chocolate mousse. ginger snap crusts are my favorite! Filling them with chocolate mousse is a delicious idea. Girl you had me at chocolate. This is gorgeous. 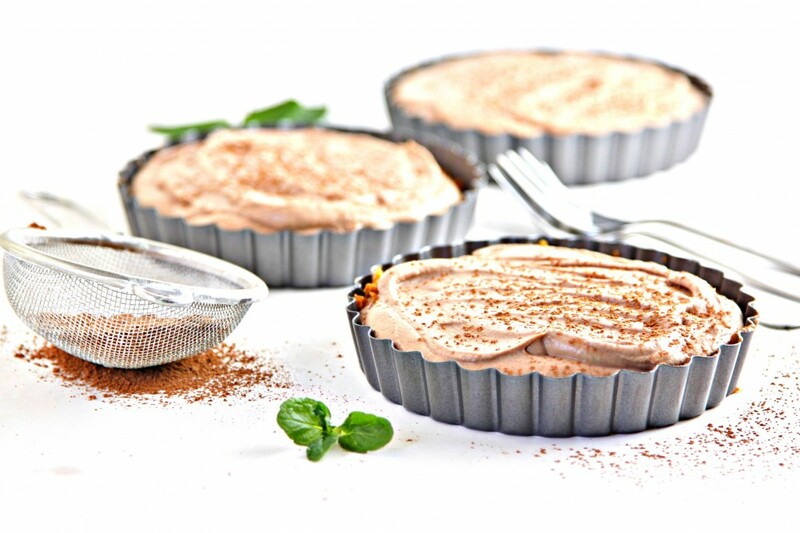 I love chocolate tarts, and this one is particularly awesome because mousse is so light and airy. This has to happen in my kitchen. Soon. You had me at gingersnap crust – they are my absolute favorite, and I love the contrast against the creamy filling! These are gorgeous and I love the use of gingersnaps. I usually save them for the fall but that they hey….I have a box, I’ll be whipping these up soon! This is a great dessert! I love the crunchy crust with the creamy mousse. It’s gorgeous! Gluten free is definitely a good thing for those who’s systems can’t handle it. When I make this recipe (and I will), I’ll be using gluten included ginger snaps. Nice to have options. Great recipe. mmmm I’ll take this Chocolate mousse with our without the crust! yum! Oh the things we can justify in the name of quality control. I’ve totally got your back on this one, Sister!I bet the gingersnaps make a great crust for the chocolate mousse. All of my favorite things combined into one! Plus it’s gluten free! I love this recipe. 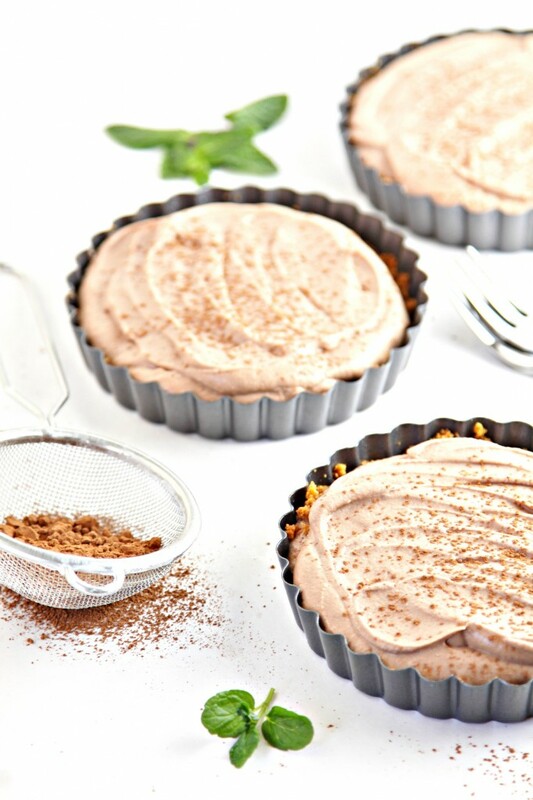 I love the idea of taking a classic dessert chocolate mousse and turning it gluten free. This baby looks packed full of flavor and deliciousness! How delicious AND your photos are gorgeous!